Here is the final set of miscellaneous readers’ tips. I had grouped the Storage Tips in the previous installment; these cover everything else. There were a wide variety of topics; I hope you will find some that work for you! My preparedness tip is to make having a good supply of water a top priority. Have several large size rigid (bpa free) water containers filled and ready as well as have bottles wtaer in your bug out bag. I think if you live in an apartment with limited space and resources, there are two things that would be important. One, have at least one week of food, water and supplies (candles, batteries, toiletries, first aid, extra blankets, etc.) on hand, per person. You should have a source of boiling water such as a buddy burner, or BBQ, as you will need water for sanitation and heating or preparing food. You will need sanitation in case you don’t have access to running water (a 5 gallon bucket with liner). Keep these items separate and accessible, such as in a large tote. Also, one should have a bug out bag for 3 days with a change of clothes and any medication needed. I think that if you need to leave immediately or stay in place, one should have both options available and ready at a moments notice. I of course could go into much more detail about both of these, but I think you get the idea. The other thought I have is that one should utilize all available space creatively to store food. Stock up on sales and cover that table in the corner with a floor length table cloth and stack up food or toilet paper underneath. No one will know you have cans of food under there. I have found space in my closets between towels and sheets that are great for stashing bars of soap, deodorant, toothpaste, etc without trying to put it all into a box somewhere that takes up even more space. Be creative, just remember to rotate. I always have some form of first aid available (I bought a basic Johnson and Johnson’s kit a few years ago; and now it’s time to update it), some water and basic food that I can eat. Since I am still in a mobile part of my life (recent grad), one of the first things I buy when moving into a new place is rice (about 2-3 pounds) and lentils (1-2 pounds). They keep for a good while and are pretty cheap. If I have the room, I’ll buy some spare water bottles. I also buy extra toilet paper if I have room. My properties for buying things is 1) What is the nutritional value of food that I am buying or how will this benefit me in the long run, 2) Can I take this with me for my next move aka is it transportable and long term storage, 3) If I can’t take it with me, how much money I am going to loose aka what’s my risk investment (what food and/or water during moves, I give to my church, local food bank or to a starving collage-aged friend). Living in Spain for the past 6 months has shown me how little I am prepared for anything and how much I need to prepare once I find a stable, consist income. My tip is always have a full box of garbage bags at home. Garbage bags are useful obviously for disposing of trash, but also for acting as a disposable toilet in conjunction with a bucket, covering and protecting potted or un-potted plants during a sudden frost or storm, and for storing leftover water from the tub in an emergency situation until the water mains run out. It can also act as a makeshift rain poncho with a few choice holes and can be cut into strips If needed to tie stakes. Stuffed with leaves it can also be used as a pillow and insulator. Make sure to get the kind with the plastic cinch pull handles! It can also be used when the bag is used up as stake and plant ties, and also as trail markers. Garbage bags are also cheap, picked up at any dollar tree. I would think for the sake of space, invest in a food dehydrator. Also, most apartments only have one entrance door–fortify or replace (with permission) the standard entryway door. Most doors offer little or no protection: fortify the hinges, at the very least, add a peep hole and dead bolt. Although I no longer live in an apartment, I think the largest challenge is growing your own food. This is a difficult skill to master, even James (The Covert Prepper) reassured me by saying it took him 3 seasons to get it right. I’m beginning my second with much excitement but also with the understanding that this is a skill, something to learn and test. My best prepping tip for an apartment dweller would be to learn this skill and practice it at home. Try experiments with scraps, amazingly that celery grew! My cousin takes seeds from peppers she buys in the store, and plants them right into a pot in her kitchen, it works. I have also heard about a planting potatoes in a bucket, or potato tower, really quite the spatially economical way to grow. There are videos on youtube with people growing vertical window gardens using plastic bottles. For those fortunate enough to have a balcony, you can use pallets as vertical mediums, or James also recommended using eaves trough to create a garden on a wall. If you don’t have a balcony, I would suggest replacing house plants with food plants, begin with easier stuff like sprouts, radish or lettuce. With just a little bit of imagination and some practice, this challenge can be overcome, an apartment can yield a great amount of food, certainly more than the average house working to produce grass. It’s a great skill to have, and a great feeling to grow your own food, yes, even in an apartment. Clean and completely dry some empty 2L soda bottles. Buy food in bulk and store in 2L bottles with lid. Rice, grits, sugar, salt and other course granular foods work well. Store away from direct light. You now have a waterproof, shatterproof, portable food container. The prices are outrageous on emergency and long burning candles, so making your own is very cost effective and they stack and store easily. Making your own candles comes to roughly 1.60/candle if you buy your mason jars or under a dollar if you recycle and use your own jars. Candles are good for light, heat an enclosed space, and they can be used for bartering. People will always need light. The jars can be used for drinking or water collecting. Using soy to make your candles is non-toxic and burns longer than wax. Soy wax flakes. These are commonly used in making scented candles and are sold in craft stores or Amazon. I bought a 5 pound bag from Amazon for 12.79. A pound of wax will fill around a 24 ounce container, give or take. You can use other wax, but soy is affordable, typically has a longer burn time than other waxes and has some other beneficial qualities (all-natural, renewable, etc.). Canning jars. I purchased a dozen 8 ounce jars from Wal Mart for around $8. If you have jars around the house, no need to buy them. Wicks and Tabs. You can find these on Amazon, eBay and at your craft stores. You’ll want your wicks to be a bit longer than your candle holder is tall. Check Ebay for cheap prices. Second, Melt your wax using a double boiler or 2 pots. Don’t fill the jar up the whole way – leave some room between the wax and the top of the container. You’ll want to center the wicks at this point. Then, take a break and let the wax cool and harden up. Last step. After the wax has cooled, trim the wicks as needed–you want the wick to be about 1/4″ above the wax. Then, screw the lids on and you’re ready for storage. To get the most use out of the candles, they are best used if lit for 4 hours at a time. so one candle should last one week used like that. not too bad! More wicks can be added to make more light. This is the best tip I have for apartment dwellers like me. They stack and store easily enough, can be used for trade, and most importantly if the grid goes down, at lest you will have light to prepare yourself by! We lived in an apartment for several years before buying our house and I always hated the fact that the management office and maintenance employees could come in anytime they pleased. There were actually several thefts and it turned out to be a maintenance worker stealing while tenants were gone to work. In order to keep my stash of emergency food, prescription meds, money, and other prepper-type items hidden in plain sight, I would use cardboard boxes and label them with really boring titles. “Winter clothes, summer clothes, baby clotes, yard sale items, books, blankets, etc.”….basically nothing worth taking the time to rummage through when there was jewelery and electronics in plain sight. you door looking for them. in the apartment when said person is attempting to break in. 1-If you were forced to relocate due to foreclosure or sale of a property you don’t own, what is a good alternative nearby? 2-Do you know where you would store your things and could you mobilize quickly? 4-What amenities can save you money ? free linen service? Tennis court? monthly swap meet? The mobile food pantry comes here twice a week. I have not had to touch my 3 month supply or buy paper goods at all! When prepping for an earthquake, you don’t necessary have to strap the shelf to the wall or glue the items to the shelf as suggested. Simply put all your heavier items on the bottom. In our house that meant putting all the books on the bottom & all the figurines on top. In all the years we’ve lived in California, we’ve only had 1 or 2 items fall off a bookshelf in an earthquake & these were light paper items like Christmas cards. breakable figurines & plates have stayed on the shelf! The books seem to act as a weight that allows the bookshelf to sway with the quake but not topple over, keeping it upright & your items safe! … that being said we haven’t had anything overly strong. We lived through the Northridge quake but we were miles from the epicenter. So – legal disclaimer – this isn’t a guarantee by any means. But it’s worked at my home & at my office quite well. So to be totally safe I guess do all 3: strap the shelf, glue the items & place heavier items like books on the bottom. But places like my office won’t let you do that. So my binders & manuals are on the bottom shelf & it’s survived 2 quakes now. Move out of that apartment! is if the entire apartment complex is inhabited by fellow preppers. Not likely, huh? Shared walls are poor fire barriers. Reliance on shared electrical circuits, water/sewer, and other public infrastructure. Prepping, like so many other things in life, is about three things: location, location, and location. So what should you do to fix this major prepping flaw? Take all that money you plan to spend this year on guns, ammo, water filtration systems, dehydrated food, and generators and put it in a savings account. Then get a newspaper and start hunting for a house to rent. Throw your lot in with a few trusted friends. Find a place with a big yard (for a garden and a few big dogs) that is 5 or 10 miles out of town. 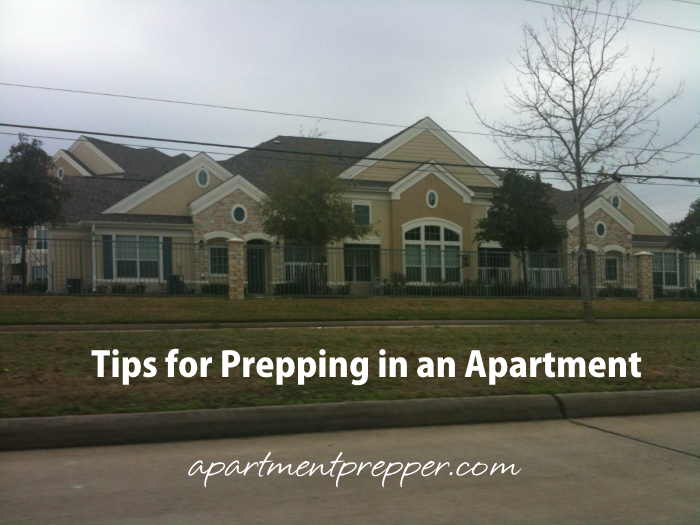 Do whatever it takes but please -if you are serious about prepping – get out of that apartment! Get your *neighbors* to prep. If things go sideways, you’ll be surrounded by hungry and increasingly desperate people who live mere inches away from your home and family. The key, however, is to be low-key and not alarmist. You also don’t want tip your hand about supplies you have stored. 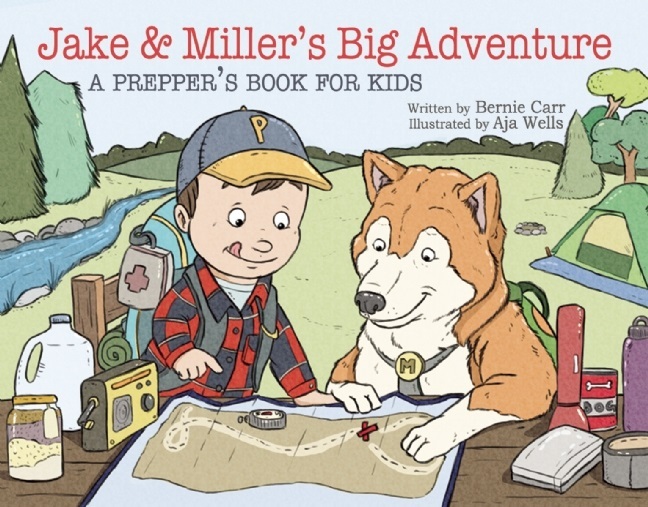 Follow up in a few weeks with a pamphlet explaining how to build an emergency kit. Work your way through the building. Contact the Red Cross or other organization to see if someone will come speak to your Neighborhood Watch chapter or HOA. Post notices about local emergency preparation fairs sponsored by the fire department or the city. Get them talking to EACH OTHER about preparedness. 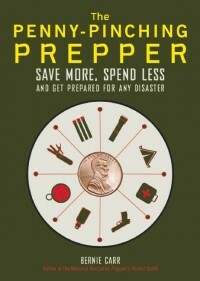 The more people who are prepared, the better it is for all of us. I think the most important survival tip for an apartment dweller is to know your neighbors. By living in an apartment, you have limitations of what, and how much, gear, water, food, ammo, etc, you can store. You will most likely not be able to rely only on yourself. By forging some kind of bond with your neighbors, you create a sense of community that lends itself to banding together in times of need. In nonemergency times, it is still a great idea to know your neighbors. When your life is on the line, it is imperative to know who you can count on. Thanks for participating, everyone! I hope we can have another contest again soon. Great collection of tips! My family has been professional candle makers for over 45+ years and I would like to caution those that want to make to make their own candles for emergency or even home use that you really need to be careful when choosing a wick. Wicks come in a lot of different sizes and it you over wick a jar candle it can cause too much wax to melt, causing a significant risk of fire hazard and potentially shattering the jar. You are much safer “under wicking”, which will not melt all the wax to edge but is much safer and would be fine for emergency use. Also, there are many different types of waxes, and even sub-types, so be sure you are getting the right type for your needs (i.e. Soy Container, Par-Veg Pillar, etc).